Dec 3, 2013 change - Mediator Code of Ethics, Standard 10 change (pdf) - Change to Standard 10, Advertising and Solicitation of the Alabama Code of Ethics for Mediators. This Code of Ethics for Mediators sets forth Standards to guide mediators in their mediation practices. These Standards are intended as rules of reason and should be interpreted with reference to the purposes of mediation. This Code does not exhaust the moral and ethical considerations that should guide a mediator. Rather, this Code provides a framework for the ethical practice of mediation. Failure to comply with a Standard set out in this Code may be the basis for removal from the roster of mediators maintained by the Alabama Center for Dispute Resolution and for such other action as may be taken by the Alabama Supreme Court Commission on Dispute Resolution. This Code is designed to provide guidance to mediators. Violation of a Standard shall not give rise to a cause of action nor shall it create any presumption that a legal duty has been breached. Nothing in this Code should be deemed to establish or augment any substantive legal duty on the part of mediators. 2. Mediation conducted by persons whose names are listed on the roster of mediators maintained by the Alabama Center for Dispute Resolution. (b) Definition of Mediation. Mediation is a process whereby a neutral third party encourages and facilitates the resolution of a dispute without deciding what the resolution should be. It is an informal and non adversarial process whose objective is helping the disputing parties reach a mutually acceptable agreement. (c) Mediator's Role. 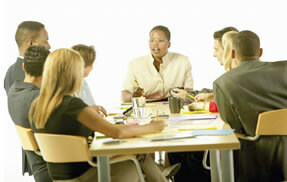 In mediation, decision-making authority rests with the disputing parties. The role of the mediator includes, but is not limited to, assisting the disputing parties in identifying issues, facilitating communication, focusing the disputing parties on their interests, maximizing the exploration of alternatives and helping the disputing parties reach voluntary agreements. (e) Effective Date. This Code shall govern all mediation proceedings commenced on or after March 1, 1996. (a) Integrity, Impartiality, and Professional Competence. Integrity, impartiality, and professional competence are essential qualifications of any mediator. Professional competence means the knowledge, skill, and thoroughness reasonably necessary for the mediation. A mediator shall not accept any engagement, perform any service, or undertake any act that would compromise the mediator's integrity. (B) Regularly engaging in educational activities promoting professional growth. If the mediator decides that a case is beyond the mediator's competence, the mediator shall decline appointment, withdraw, or request technical assistance. (b) Concurrent Standards. Nothing contained herein shall replace, eliminate, or render inapplicable relevant ethical standards not in conflict with these rules that may be imposed upon any mediator by virtue of the mediator's profession. A mediator shall be candid, accurate, and fully responsive to a court concerning the mediator's qualifications, availability, and other matters pertinent to his or her being selected to mediate. A mediator shall observe all administrative policies, procedural rules, and statutes that apply to mediation. A mediator shall refrain from any activity that has the appearance of improperly influencing a court to secure placement on a roster of mediators or appointment to a case. The fact that the mediation can be terminated at any time by the mediator or by any of the parties. That a mediated agreement, once signed, is binding and can have a significant effect upon the rights of the parties and upon the status of the case. (c) Avoidance of Delay. A mediator shall perform mediation services in a timely and expeditious fashion, avoiding delays whenever reasonably possible. A mediator shall refrain from accepting additional appointments when it becomes apparent that completion of mediation assignments already accepted cannot be accomplished in a timely fashion. (a) Parties' Right to Decide. A mediator shall assist the parties in reaching an informed and voluntary agreement. Substantive decisions made during mediation are to be made voluntarily by the parties. (b) Prohibition of Coercion. A mediator shall not coerce or unfairly influence a party into entering into a settlement agreement. (c) Misrepresentation Prohibited. A mediator shall not intentionally misrepresent material facts or circumstances in the course of a mediation. (d) Balanced Process. A mediator shall promote a balanced process and shall encourage the parties to participate in the mediation proceedings in a non-adversarial manner. (e) Responsibility to Nonparticipating Parties. A mediator may promote consideration of the interests of person who may be affected by an agreement resulting from the mediation process and who are not represented in the mediation process. (a) Impartiality. A mediator shall be impartial and shall advise all parties of any circumstances that may result in possible bias, prejudice, or impartiality on the part of the mediator. Impartiality means freedom from favoritism or bias in work. action, and appearance, impartiality implies a commitment to aid all parties, as opposed to one or more specific parties, in moving toward an agreement. A mediator shall maintain impartiality while raising questions for the parties to consider concerning the fairness, equity, and feasibility of proposed settlement options. A mediator shall withdraw from mediation if the mediator believes the mediator can no longer remain impartial. (b) Required Disclosures and Conflicts of Interest. (A) Any current or past representation of or consulting relationship with any party or the attorney of any party involved in the mediation. (B) Any pecuniary interest the mediator may have in common with any of the parties or that may be affected by the outcome of the mediation process. (C) Known potential conflicts, including membership on a board of directors, full or part time service as a representative or advocate, consultation work performed for a fee, current stock or bond ownership other than mutual fund shares or appropriate trust arrangements, or any other form of managerial, financial, or immediate family interest with respect to a party involved. A mediator who is a member of a law firm is obliged to disclose any representation of any of the disputing parties by the mediator's firm or a member of that firm of which the mediator is aware. (D) Any close personal relationship or other circumstances, in addition to those specifically mentioned in this Standard, that might reasonably raise a question as to the mediator's impartiality. Mediators establish personal relationships with many representatives, attorneys, other mediators, and member of various other professional associations. Mediators should not be secretive about such friendships or acquaintances, but disclosure of these relationships is not necessary unless that relationship is one of those mentioned in this Standard or some feature of a particular relationship might reasonably appear to impair impartiality. Prior service as a mediator in a mediation involving a party or an attorney for a party does not constitute representation of the party or consultation work for the party. However, mediators are strongly encouraged to disclose such prior relationships. Mediators must disclose any ongoing relationship with a party or an attorney for a party involved in a mediation, including membership on a panel of persons providing mediation, arbitration, or other alternative dispute resolution services to that party or attorney. A mediator shall not provide counseling or therapy to any party during the mediation process, and a mediator who is a lawyer shall not represent a party in any matter during the mediation. All disclosures required by this Standard shall be made as soon as practicable after the mediator becomes aware of the interest or the relationship. The burden of disclosure rests on the mediator and continues throughout the mediation process. After appropriate disclosure, the mediator may mediate the dispute if all parties to the mediation agree to the mediator's participation and that agreement is reduced to writing. If the mediator believes that the relationship or interest would affect the mediator's impartiality, he or she should withdraw, irrespective of the expressed desires of the parties. A mediator must avoid the appearance of a conflict of interest both during and after the mediation. Without the consent of all parties, a mediator shall not subsequently establish a professional relationship with one of the parties in a substantially related matter. (a) Confidentiality. A mediator shall preserve and maintain the confidentiality of all mediation proceedings except where required by law to disclose information gathered during the mediation. (b) Records and Research Data. A mediator shall store and dispose of records relating to mediation proceedings in a confidential manner and shall ensure that all identifying information is removed and the anonymity of the parties is protected when material included in those records are used for research, training, or statistical compilations. (a) Generally. A mediator shall not provide information the mediator is not qualified by training or experience to provide. (b) Independent Legal Advice. When a mediator believes a party does not understand or appreciate how a potential agreement reached through the mediation process may adversely affect the party's legal rights or obligations, the mediator should advise the participants to seek independent legal advice. (c) Absent Party. If one of the parties is unable to participate in the mediation process for psychological or physical reasons, a mediator should postpone or cancel mediation until such time as all parties are able to participate. (d) Personal or Professional Opinion. A mediator may discuss possible outcomes of a case, but a mediator may not offer a personal or professional opinion regarding the likelihood or any specific outcome except in the presence of the attorney for the party to whom the opinion is given. (a) General Requirements. A mediator occupies a position of trust with respect to the parties and the court system. In charging for services and expenses, the mediator must be governed by the same high standards of honor and integrity that apply to all other phases of the mediator's work. A mediator shall be scrupulous and honest in billing and must avoid charging excessive fees and expenses for mediation services. (b) Records. A mediator shall maintain adequate records to support charges for services and expenses and shall make an accounting to the parties or to the court upon request. (c) Referrals. No commissions, rebates, or similar remuneration shall be given to or received by a mediator for referral of persons for mediation or related services. (d) Contingent Fees. A mediator shall not charge or accept a contingent fee or base a fee in any manner on the outcome of the mediation process. (e) Minimum Fees. A mediator may specify in advance minimum charges for scheduling or conducting a mediation session without violating this Standard. (f) Disclosure of Fees. When a mediator is contacted directly by the parties for mediation services, the mediator has a professional responsibility to respond to questions regarding fees by providing a copy of the basis for charges for fees and expenses. (g) Pro Bono Service. Mediator have a professional responsibility to provide competent service to persons seeking their assistance, including those unable to pay for their services. As a means of meeting the needs of those who are unable to pay, a mediator should provide mediation services pro bono or at a reduced rate of compensation whenever appropriate. (a) Training. A mediator is obligated to acquire knowledge and training in the mediation process, including an understanding of appropriate professional ethics, standards, and responsibilities. Upon request, a mediator is required to disclose the extent and nature of the mediator's education, training, and experience. (b) Continuing Education. It is important that mediators continue their professional education as long as they are actively serving as mediators. A mediator shall be personally responsible for ongoing professional growth, including participation in such continuing education as may be required by law or rule of an appropriate authority. (c) New Mediator Training. An experienced mediator should cooperate in the training of a new mediators, including serving as a mentor. Advertising. Advertising or any other communication with the public concerning mediation services offered by the mediator or regarding the education, training, and expertise of the mediator shall be truthful. Mediators shall refrain from making promises and guarantees of results. Solicitation. A mediator shall not solicit business from a party to a dispute if the mediator know the party is represented by a lawyer. A mediator shall not enter into a partnership or employment agreement that restricts the rights of the mediator to mediate after the relationship forming the basis of the agreement is terminated, except that a mediator may enter into an agreement concerning benefits upon retirement. A mediator should support the advancement of mediation by encouraging and participating in research, evaluation, or other forms of professional development and public education. Mediator Code of Ethics, Standard 10 change, December 3, 2013 - Change to Standard 10, Advertising and Solicitation of the Alabama Code of Ethics for Mediators.